Hello everyone! 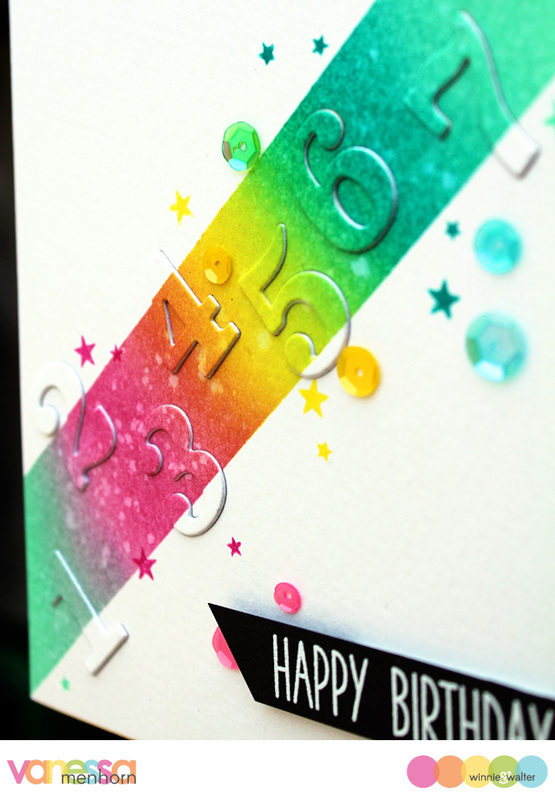 Vanessa here with a colorful card using the fun Typecast: Cary Numbers Cutaways. I started with a panel of white cardstock that I had trimmed the same size as my card base. 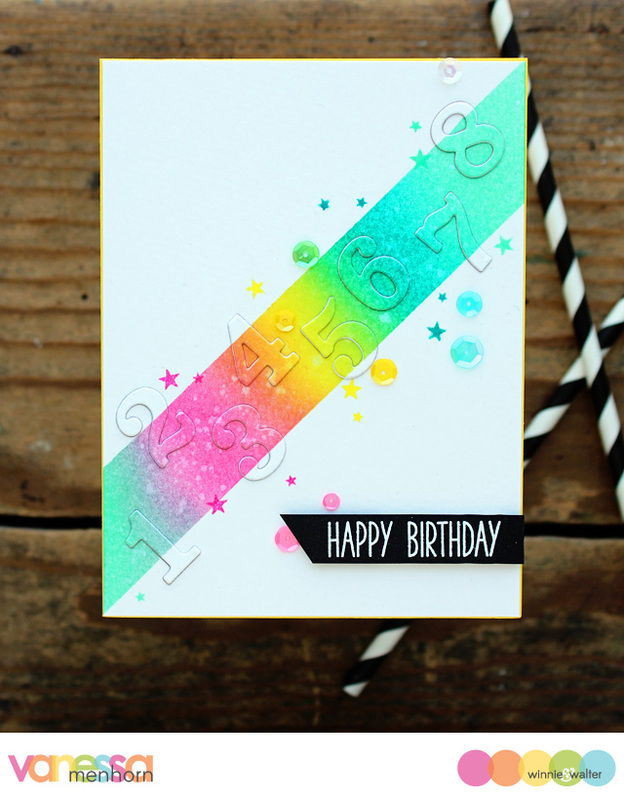 Now I masked off a diagonal strip with washi tape and applied various Distress Inks with an ink blending tool. Then I flicked water from a brush, removed the mask and stamped tiny stars from Sceneries: Big Bang Confetti with matching ink. Next, I die-cut the numbers from the panel and adhered the panel to the card. I die-cut the numbers twice form white cardstock, layered them with the inked numbers and adhered them. Now I stamped and heat-embossed the sentiment from Sugar Rush onto a strip of black cardstock, trimmed it and adhered it with foam tape. Finally, I adhered matching sequins to the card. Absolutely brilliant design--LOVE this card! Very pretty card :) so cheerful, bright and happy. Full of Spring time fun!! I just love this card! So clean and simple but still lots of WOW!